We accept excel files from users with large sets of PQRS data. Deadline to submit data using MDinteractive Excel Templates is February 15, 2017. You can find some of our 2016 Excel templates on this link. Please use only the exact options shown on the Excel template or we will not be able to process your data. If one of the options is "Not Done - Medical Reason", please do not enter "Not done - medical reason". If you are reporting the same individual measure or the same measures group on multiple providers, please only use one single sheet on a single Excel file. It takes our staff extra time to merge and process multiple sheets or multiple Excel files. Different measures should be reported in different Excel files. Please email us after uploading the data and we will review it. NPI: Are all of the providers for which you plan to submit data listed? Do the correct individual NPI numbers appear next to each provider’s name? TIN: Is the correct Tax ID Number (used to bill Medicare Part B) listed? Consent: Have consent forms been signed by each provider so data may be submitted to CMS? PQRS Reports section: Are all of your Measures and/or Measure Groups listed here? Clicking to open each Report, is the Status column free of error messages? Are the performance rates and reporting rates for each measure correctly calculated? 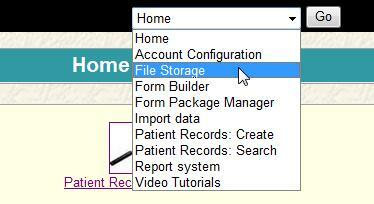 Please confirm that all data you want to submit to CMS has been imported. Please “Add to Cart” and pay online for providers whose data is complete and ready to submit to CMS. After data is submitted to CMS, please also log in and visit your Homepage to review Submission Reports and make sure all of the data you expected to be submitted is listed.